Anger is a natural emotion. Mild forms of anger include displeasure, irritation or dislike. Anger can come as a reaction to criticism, threat, or frustration. This is usually a healthy response. Anger may be a secondary response to feeling sad, lonely or frightened. There are many common triggers for anger, such as losing your patience, feeling as if your opinion or efforts aren't appreciated, and injustice. 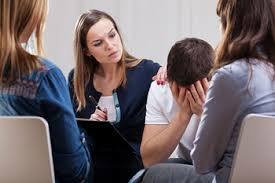 Other causes of anger include memories of traumatic or enraging events and worrying about personal problems. Anger can also be a substitute emotion. By this we mean that sometimes people make themselves angry so that they don't have to feel pain. People change their feelings of pain into anger because it feels better to be angry than it does to be in pain. ... When you are angry, you are angry with cause. Psychology of Anger. Anger is a natural and mostly automatic response to pain of one form or another (physical or emotional). Anger can occur when people don't feel well,feel rejected, feel threatened, or experience some loss. Anger is often called a secondary emotion because we tend to resort to anger in order to protect ourselves from or cover up other vulnerable feelings. A primary feeling is what is what is felt immediately before we feel anger. We almost always feel something else first before we get angry. This is not to say that every child who is aggressive/violent learned it from watching the behavior of his or her parents, or from television. ... However, on average, if parents are aggressive they are more likely to have aggressive children if they show that aggression to their children. 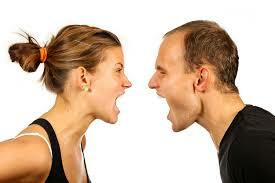 Anger management therapy can help to identify triggers and solutions. Delaying a response, for example, by counting to ten. This slows down the process, and allows time to recover a logical thinking pattern. It is important not to repress the anger, but to express it when the person has calmed down, in an assertive, non-aggressive way. It is helpful to change such thoughts as "Everything's ruined" to, for example, "This is frustrating, but it is not the end of the world." Words like "always" or "never" can make an angry person think there is no solution, and they can humiliate and alienate other people. If a person is bothered by something, planning what to say beforehand can help prevent the conversation from getting sidetracked. Letting go of the resentment helps, because bearing a grudge fuels the anger and makes it harder to control. Other people are the way they are, and accepting this can help. 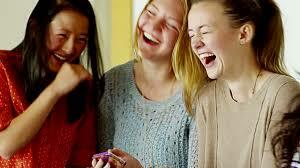 It is better to avoid harsh, sarcastic humor, but good humor can help to dissolve anger and resentment.